My name is Sam Iannetta. At the age of 10, I became fascinated with weightlifting and exercise and purchased my first set of weights. Soon after I starting working out with police officers who needed a high level of fitness since their very lives depended on it. Inspired by the people around me, I worked out hard and started gaining serious strength. However, I notice how many officers had injuries, aches and pains and I had a deep desire to help them. I started spending a lot of time researching rehabilitation, injury prevention, and thinking about biomechanics. Before long, I became the “go-to guy” for all issues with the body. Back then, I had no idea it would become my life’s work. Currently I have over 44,000 hours of one-on-one personal training and over 3,000 hours of group weight training instruction for people of all ages. In 1992, I started creating a system of analysis of human movement that incorporated my years of knowledge and experience. 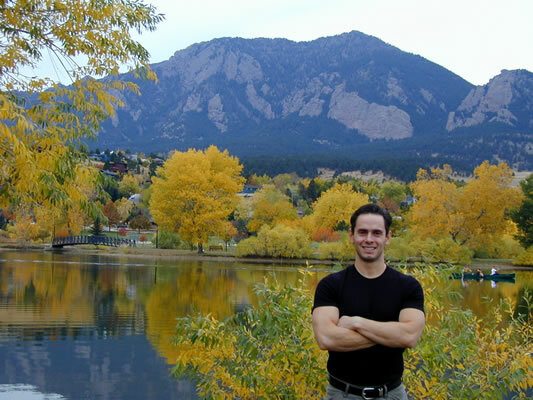 In 2002, I opened a fitness center in Boulder, Colorado called Sam Iannetta’s Functional Fitness and Wellness Center and trained others in my system. The trainers stated, “It was like having a new set of eyes”. All of the sudden, they could see problems in clients’ movement long before an injury occurred. In 2008, I founded the concept of Fitness Longevity® which is my system of fitness based not on how fit someone can be, but how long they want to stay fit. Here I was in what most people think is an incredibly fit city, yet clients came in one after another with injuries, pain and premature wear and tear. In 1995, I created the concept of the S.P.O.R.T. Paradigm© which stands for Specific Performance of Repetitive Trauma. This is the paradigm that we all grew up in learning sports education in our physical education system. This was happening in schools all across the country. P.E. wasn’t physical education; it was S.E. or sports education and you learned nothing about your physical body. I coined the concept of the Fitness Longevity Paradigm© as a replacement for the SPORT Paradigm©. In 1992, I started using the term Functional Fitness to describe my system of using my system of functional analysis to decipher poor movement patterns that lead to pain, poor digestion, loss of energy, depression, and weight gain, not to mention excess physical wear and tear. In many cases, clients also saw significantly diminished symptoms of disease, illness and aging. After the initial analysis, we discuss and demonstrate the problems that we see and then create a corrective exercise and nutritional plan to change these poor patterns. Only after proving my techniques by solving complex mechanical and structural issues with hundreds of clients did I decide to open Sam Iannetta’s Functional Fitness and Wellness Center in 2002. To date there is no other exercise facility using our analysis and techniques.